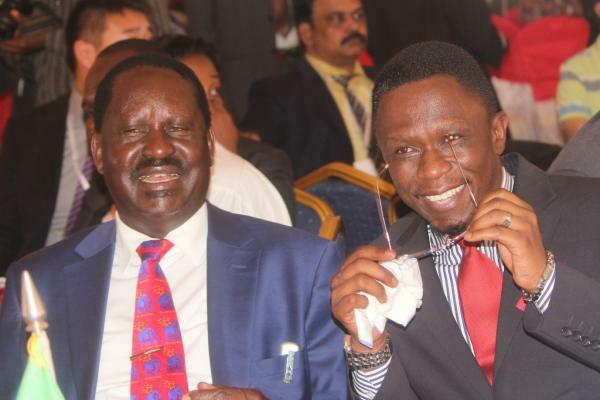 Budalangi MP and raila right man Ababu Namwamba has said that CORD party leader Raila Odinga will definitely win the 2017 elections despite failing to do so for three previous attempts. According to Namwamba, Raila has what it takes to be the next president and that come 2017 he will get into the state house. “Our minds and plans are to communicate with the electorate to give us an opportunity to rule the nation,” He said. Ababu was speaking on Friday in Busia county where he accompanied the Parliamentary Committee on Security on a tour to check on security preparedness of the area.